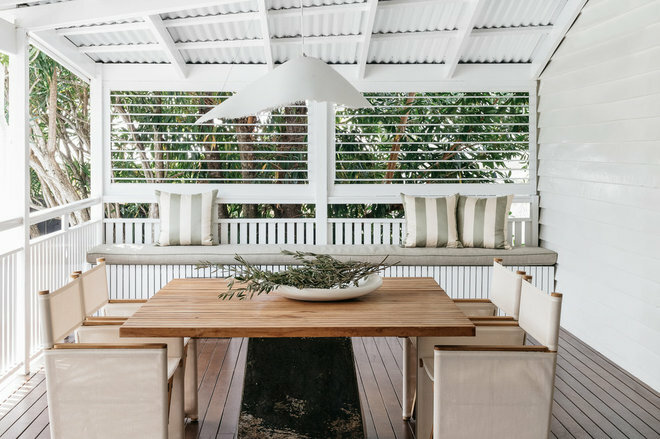 Whether your outdoor area consists of a sprawling backyard or a courtyard the size of a postage stamp, with some smart planning it’s possible to create an alfresco entertaining space that’s both usable and stylish. Three design experts show you how. 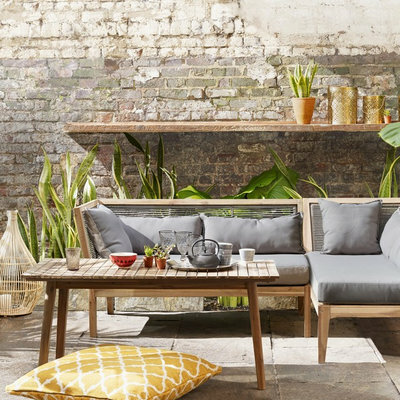 The first step to creating a stylish and comfortable outdoor entertaining area is to assess the space you have available so you can choose furniture and a layout to suit, according to Cat Brown, marketing and PR manager at interior design firm, The Designory. When planning your layout, be sure to include any features that will help make entertaining easier and more enjoyable, says Brown. If, for example, you prefer to spend time with your guests rather than running backwards and forwards to the kitchen, make provisions for this. 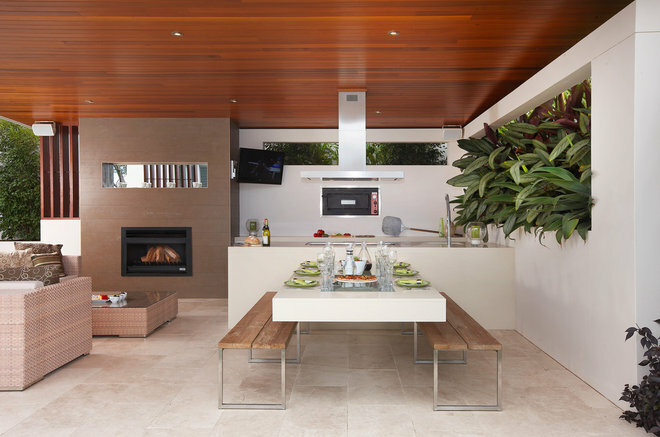 “Look to incorporate an integrated barbecue into your set-up so you can cook outdoors. 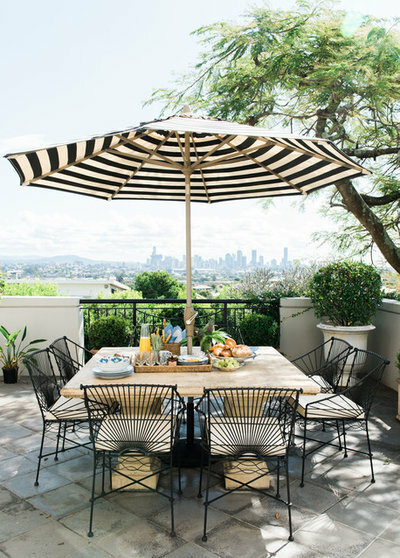 Or get an outdoor bar cart to keep drinks close at hand – this way you’re never out of the conversation when you’re mixing a cocktail,” she says. 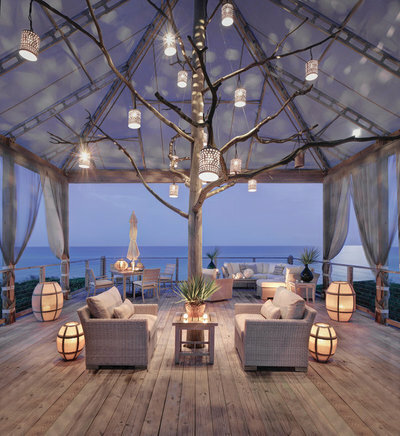 Brown concurs, adding, “If you’re creating a lounge space that you plan to use in the afternoon and evening, be sure not to position furniture towards the setting sun, as this will blind your guests”. 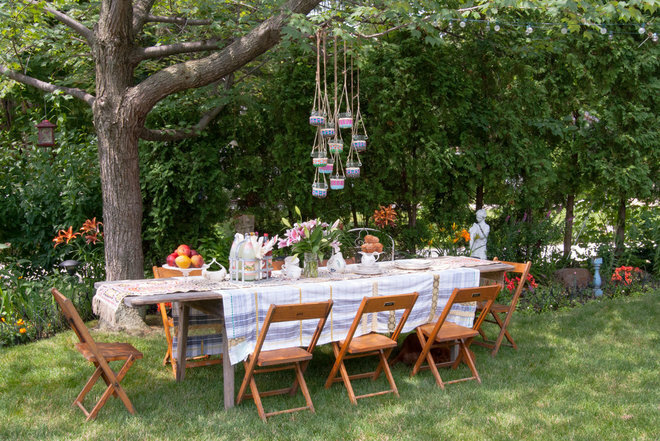 If space is tight, look for flexible pieces that be adapted for the occasion. “Ceramic stools can be used as side tables or seating, or they can be clustered together to form one large coffee table,” Smith adds. 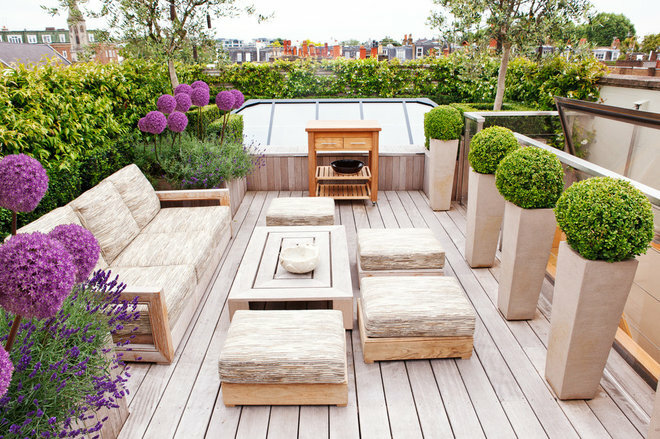 Other space-savvy designs to consider include outdoor coffee tables with storage for items such as cushions and table accessories, and platform-style sofas that boast built-in ledges where you pop a glass of wine or a plate of nibbles. When selecting furniture, seek out quality, weather-resistant pieces that will require little ongoing maintenance. If you live in a high-rise apartment, seek out pieces that are heavy enough not to blow around in windy conditions, adds Smith. 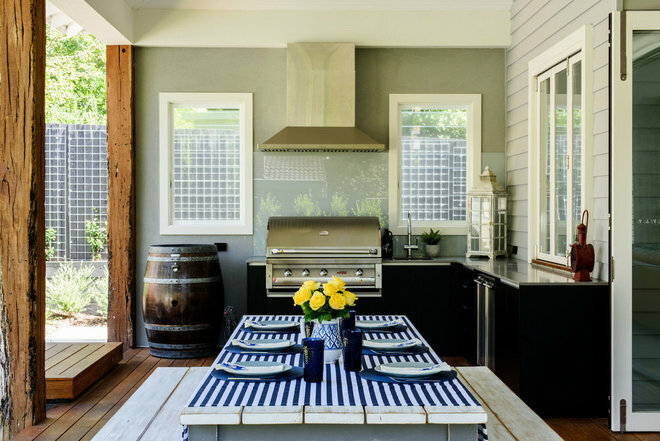 Keep your guests cool and comfortable in the summer months by providing adequate shade. 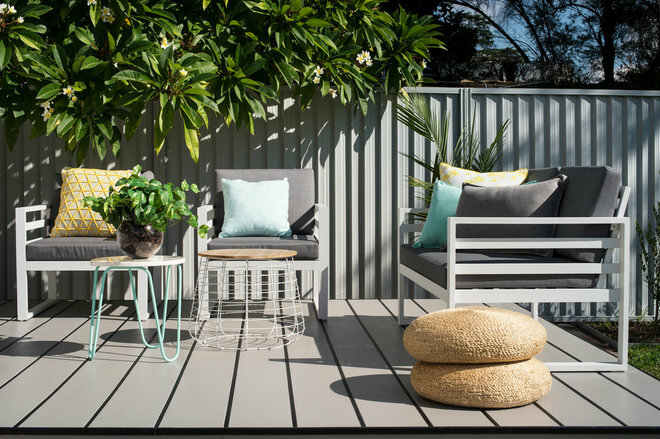 There are a number of shading options available so think carefully about which one best suits your outdoor space. “If you don’t have a permanent structure such as a pergola or covered patio, then an umbrella that can be moved around to provide shade exactly where you need it, is a great solution,” says Smith. For something more permanent, consider a retractable awning attached to the wall. “An integrated, automated awning can be a great investment and will allow you to use your outdoor area in rain or shine,” says Brown. Molders is another fan of this motorised shading solution. “It can be extended right over your table and you won’t end up with any unsightly poles blocking your view,” she says. Add in a heater, and you and your guests will be able to enjoy your outdoor space year-round. 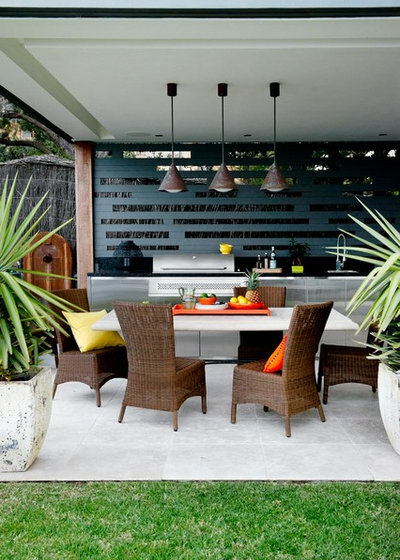 The right heater will depend on the style and size of your outdoor area. An electric, radiant heater is a great option as it will warm you and your guests rather than the air around you. Heat-strip units can be mounted on the wall or on the ceiling of your outdoor dining area so they’re practically out of view. A fire pit is less energy efficient and won’t provide as much heat, but is sure to add a cosy touch to your get-togethers. When it comes to tableware, glassware and napkins, Brown suggests buying a selection in different tones that can be mixed and matched for different looks. Stemless wine glasses are another smart touch, she says, as they won’t topple over on windy days. Good lighting is just as important outdoors as it is indoors – not only will it allow your guests to move around safely, but it helps set the mood for cosy entertaining. For Molders, there is nothing more magical than a string of fairy lights arranged in the trees or on the corner of your balcony. She suggests warm white globes over cool white ones as they create a more inviting light. If you’re looking to boost visibility at night without creating glare, consider low-voltage flood lights installed in the eaves or on the walls of your deck. For an environmentally friendly and cost-effective lighting solution, solar lights might just fit the bill.